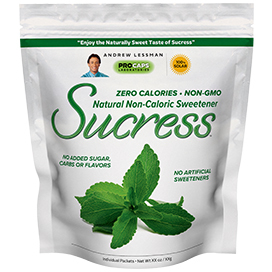 Sucress is a non-GMO, zero-calorie Stevia leaf sweetener with none of the sugar or carbs of most packeted sweeteners. 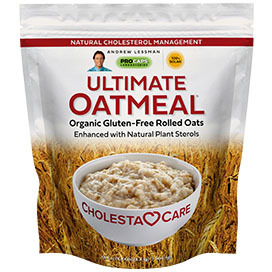 One packet provides the sweetness equivalent of 2 teaspoons of sugar, plus the amino acid glycine for healthy glycemic support. SUCRESS = Sucré + Success. Sucré is the French word for “sweet” and if you combine it with the word “success,” you end up with Sweet Success or as we now call it, Sucress. It is well established that reduced sugar intake is essential for good health. In fact, lower sugar intake facilitates weight loss and enhances blood sugar control. Nevertheless, virtually all sugar substitutes strangely “replace” sugar with other sugars or carbohydrate. Sucress is different. No added sugars or carbohydrate. Just the clean fresh taste of our natural Stevia sweetener, along with the amino acid Glycine to help support healthy blood sugar metabolism. Stevia seemed to burst on the scene several years ago, but by then, Stevia had already been consumed traditionally for generations in South America. Stevia is related to the sunflower and, like many plants and natural ingredients, Stevia has been used traditionally for more than 1,500 years. Apparently, it just takes a few centuries for science and industry to embrace Mother Nature's best work. At ProCaps Laboratories, our interest in Stevia began decades ago; however, it was exceedingly difficult to translate the mild sweetness of the Stevia leaf into the “sugary” sweetness that modern taste buds demand. Nevertheless, after years of research, we are proud to introduce a sweetener worthy of the Stevia plant. Enjoy the naturally sweet taste of Sucress! SUCRESS is our unique non-GMO Stevia leaf sweetener with none of the sugars or carbohydrate of other packeted sweeteners. Our refreshing new approach means there are no hidden sugars in your sugar substitute. Each packet of Sucress provides the sweetness equivalence of approximately 2 teaspoons of sugar, along with the healthy glycemic (blood sugar) support of the amino acid Glycine. 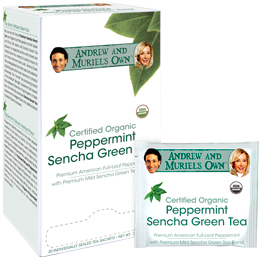 Enjoy the pure sweet taste of Sucress without artificial sweeteners and flavors or added sugars and carbohydrate. 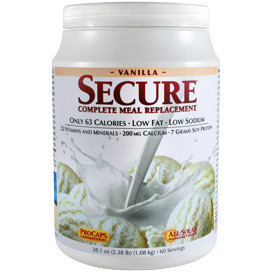 Sugar hides in unexpected places; ketchup, salad dressing, yogurt, peanut butter, bread, cereal, beverages, etc. However, there is one particularly shocking hiding place and that is in a sugar substitute. But how could a sugar “substitute” possibly contain hidden sugar? Isn't it supposed to replace sugar? Yet virtually all of them, both natural and artificial, contain added sugars or carbohydrate. Some contain simple sugars, like dextrose or glucose. While others include alcohol sugars, such as erythritol; and still others contain carbohydrate, like maltodextrin or inulin. It seems strange, even deceptive, to include sugars in a product intended to replace sugar, so Sucress is different. Sucress only contains our natural Stevia sweetener, along with the healthy blood sugar support of the amino acid Glycine. Finally, a healthy alternative to sugar and sugar substitutes. Make our Sucress your success! 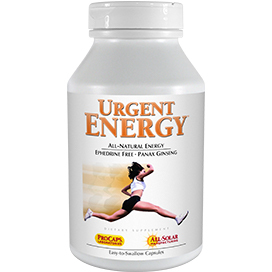 Add to beverages or foods to achieve desired sweetness. Sucress dissolves instantly providing the sweetness equivalence of approximately 2 teaspoons of sugar per packet. Unlike other sweeteners, Sucress contains no artificial sweeteners or flavors and no added sugars or carbohydrate. I have used a lot of stevia sweeteners but this one tops ALL of them. This is the best tasting stevia sweetener I've ever used. I highly recommend it. Tastes just like sugar and leaves NO after taste. I have one recommendation about packaging. Although I do like the platsic container, maybe changing to paper containers would save us some money on the product and be cheaper to package. Thanks Andrew for your fantastic products. They never disappoint! I have used sweetleaf Stevie for years even though it does have an aftertaste. This however taste awesome. I cannot believe how good it is. I use 1 packet for 2 cups of coffee . It's nice and sweet with no aftertaste at all. Step aside sugar...Sucress is the BEST!!! Just WOW! Andrew, your mission to perfect "THE" best sugar substitute was well worth the wait. The sweetness is just right and no aftertaste, not to mention but I will, the instant absorbency disappearance act into a soluble is pretty impressive. I'd give it 100 stars if I could. 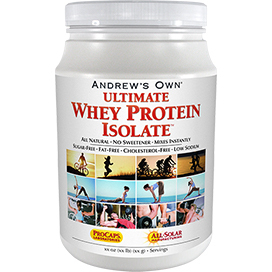 Thank you Andrew for listening to "US" and bringing the BEST NON GMO sweetener to consumers at an affordable price. WELL DONE ANDREW!!! I have been looking forward to this sweetener as soon as Andrew mentioned it was coming but I must say that I am very picky and couldn’t imagine a sweetener without an aftertaste so I was prepared for some bitterness and to my wonderful surprise, it is amazingly delicious!!! It tastes like candy to me and NO weird aftertaste at all, how is that possible that it can taste so delicious and be good for you, it’s hard to wrap my head around it. I feel grateful to have a sweetener that I don’t have to feel guilty for having and it’s good for me too! Thank you Andrew!!! As a 10 yr cancer survivor I am over the moon that Andrew has made this product...as most of you know that u r not suppose to use any artificial sweetners and if u r watching your sugar for diabetes there is not alot of choices...The cancer center recommends Stevia and as u know it has a bite and after taste, but I used it when I heard he was working on a substitute I was so happy...Well I got my order and I am here to tell u that it is GREAT, taste like sugar no after taste..I order only 100 to try it ..well I called back and order 200 more as I never want to run out...I hope that he will do it in bulk so we can use it so we don't have to open each package if we want to do a bigger batch..THANK YOU FROM THE BOTTOM OF MY HEART...somebody finally listened...don't pass this one up.. This product exceeds expectations! Previously I was using a liquid stevia product but it contained alcohol and I wondered if that was the best choice. It also had a slight aftertaste but I got used to that. Then when Andrew launched Sucress, I tried it and haven't looked back! There's no aftertaste and you only need to use a very little bit to sweeten coffee or tea. I get about 2.5 servings per packet, so that's great and the box will last a long time. Another winner from Andrew Lessman!